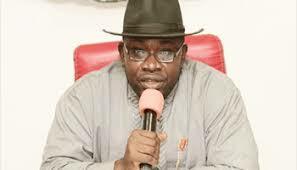 We’ve spent over N50m on flooded communities, IDPs —Bayelsa dep gov. – Royal Times of Nigeria. We’ve spent over N50m on flooded communities, IDPs —Bayelsa dep gov. YENAGOA—Bayelsa State Government has said it spent over N50 million on flood-affected communities and Internally Displaced Persons, IDP, camps in the state. The deputy governor, Rear-Admiral John Jonah (retd), disclosed this yesterday in Yenagoa, the state capital, during the monthly transparency briefing. Jonah said due to the disastrous effect of the flood on the hinterlands and the outcry of the people, the state government had spent funds on palliative measures before setting up IDP camps in various parts of the state. Earlier, the state Commissioner for Information and Orientation, Mr. Daniel Iworiso-Markson, while sympathising with the flood victims, commended the deputy governor for touring the various IDP camps and providing succour to affected persons, adding that the state government would do the needful for those affected by the flood. FG to recover `18-year lost revenue from oil giants- Supreme Court.